Are you ready to start your path to becoming a Data Scientist! This comprehensive course will be your guide to learning how to use the power of Python to analyze data, create beautiful visualizations, and use powerful machine learning algorithms! Data Scientist has been ranked the number one job on Glassdoor and the average salary of a data scientist is over $120,000 in the United States according to Indeed! Data Science is a rewarding career that allows you to solve some of the world's most interesting problems! This course is designed for both beginners with some programming experience or experienced developers looking to make the jump to Data Science! This comprehensive course is comparable to other Data Science bootcamps that usually cost thousands of dollars, but now you can learn all that information at a fraction of the cost! With over 100 HD video lectures and detailed code notebooks for every lecture this is one of the most comprehensive course for data science and machine learning on Udemy! Enroll in the course and become a data scientist today! 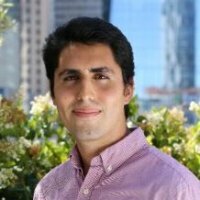 Jose Marcial Portilla has a BS and MS in Mechanical Engineering from Santa Clara University and years of experience as a professional instructor and trainer for Data Science and programming. He has publications and patents in various fields such as microfluidics, materials science, and data science technologies. Over the course of his career he has developed a skill set in analyzing data and he hopes to use his experience in teaching and data science to help other people learn the power of programming the ability to analyze data, as well as present the data in clear and beautiful visualizations. Currently he works as the Head of Data Science for Pierian Data Inc. and provides in-person data science and python training courses to a variety of companies all over the world, including top banks such as Credit Suisse. Feel free to contact him on LinkedIn for more information on in-person training sessions.